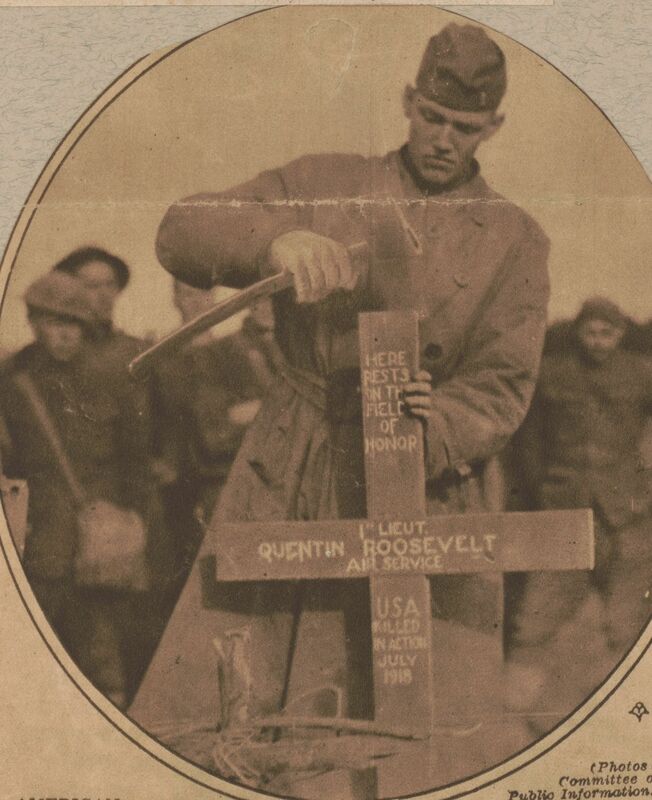 A German soldier hammers on the marker for Lt. Quentin Roosevelt's temporary grave. We choose the cover image of this issue to honor the personal sacrifice of Americans who died on the fields, and in the skies, of Europe 100 years ago, as well as the losses suffered by their families. In the poignant image, a German soldier hammers on the cross that marks the temporary grave of Lt. Quentin Roosevelt, youngest son of former President Theodore Roosevelt. Encouraged by his father and siblings, Quentin signed up for the Army Air Service and became a pursuit pilot during World War I. We was popular with fellow pilots and known for his daring. At the start of the Second Battle of the Marne, Quentin was shot down behind German lines on Bastille Day (July 14), 1918. 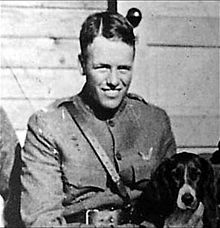 Quentin Roosevelt was well liked by his fellow pilots and only 20 years old when killed. Quentin’s death was a terrible blow to his father, who never fully recovered from the loss. Quentin’s death was a great personal loss to his father, who realized quite well that he had encouraged his son’s entry into the War. He never fully recovered from Quentin's death and, within six months, was dead himself. After Quentin's grave came under Allied control, thousands of American soldiers visited it to pay their respects. It became something of a shrine and an inspiration to his comrades in arms. Quentin is still the only son of a US President to die in combat.